Urine Gone eliminates pet stains and odor from carpet, mattresses, furniture, clothing, and more. Urine Gone effectively removes new or old stains and odors from carpets, mattresses, furniture. Urine Gone works just about any washable surface or fabric! Just spray Urine Gone on and let it dry. Urine Gone&apos;s enzyme action immediately goes to work. Making stains and odors disappear, Urine Gone keeps pets from re-marking their territory. Clean and deodorize with Urine Gone. Urine Gone makes odors go away. 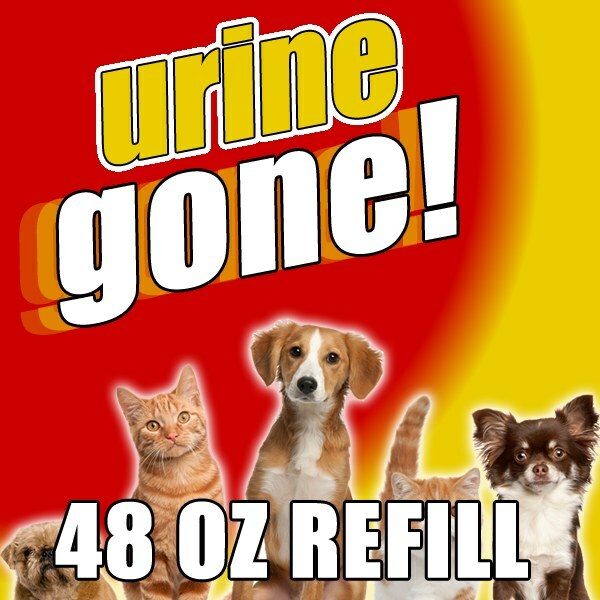 Urine Gone isn&apos;t only for pet messes! Use Urine Gone in the bathroom too!